Gathering Sunday in early September is a time when the congregation gathers to start the new church program year. We have a picnic complete with tables on the lawn and a very popular dessert contest. In October we have a Halloween-themed event where children can wear their costumes and enjoy the fun of games and activities. Advent season kicks off with an Advent Craft Fair where children of all ages enjoy making ornaments and Christmas-related crafts. 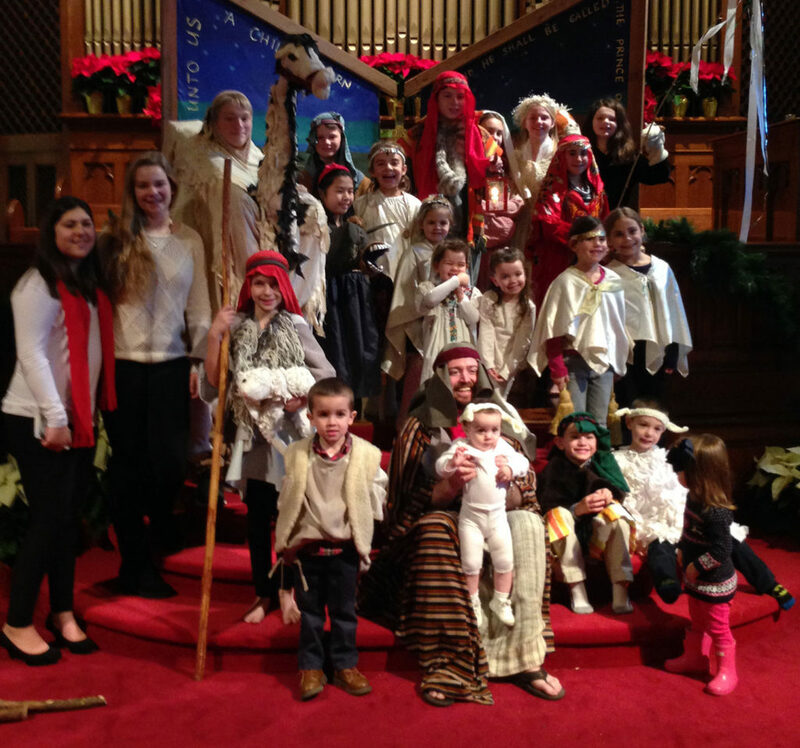 One of the highlights of the program year is the Christmas pageant, all the children from the Sunday School participate and many of the congregation participate as well. Christmas Eve services are held at two different times, with the earlier service structured more for families with children. At Easter there are also two worship services and an Easter egg hunt. Also in the Spring is the Rummage Sale which is a big event for the entire congregation. The children think it’s fantastic to find their Sunday School classrooms filled with “treasures” such as used toys and books. The entire day has a festival atmosphere and the youth run the Rummage Sale Cafe. Another spring event is the Heifer Fair, which raises money for Heifer International. Making crafts for the fair and selling them to members of the congregation on Fair day makes it a special event. Sunday School Sunday is an opportunity for the children to lead the worship service and to celebrate the blessing of Sunday School with a picnic for the whole congregation.